The Cobra Patriot is Cobra's .380 and 9 mm handgun design. The small-caliber handgun is extremely lightweight, weighing only 18 ounces unloaded, and only 6 inches in total length, making the weapon easy to conceal. The double-action weapon is semi-automatic, and has a magazine capacity of 10 rounds, making it a great choice for a reliable secondary weapon. Field-stripping the Cobra .380 handgun is an essential part of proper maintenance, which keeps the firearm in optimal working condition. Gunpowder residue can freeze onto the interior parts of the weapon, and make the accuracy and reliability of the weapon diminish significantly. Remove the magazine by pressing the magazine release button on the hand-grip. Pull the charging handle to the rear of the weapon, and visually inspect the chamber to ensure that the firearm is completely unloaded. Pull the charging handle back to the rear and push up on the slide lock. This will lock the charging handle into an open position. Pull on the retainer pin located on the left side of the weapon, just in front of the trigger guard. You can use the rim of a cartridge to help loosen the pin if necessary. Pull the pin completely out. Disengage the slide lock, then slide the charging handle forward, and completely off of the weapon frame. Remove the spring-wrapped guide pin from the inside of the charging handle. This is easy to pull out. 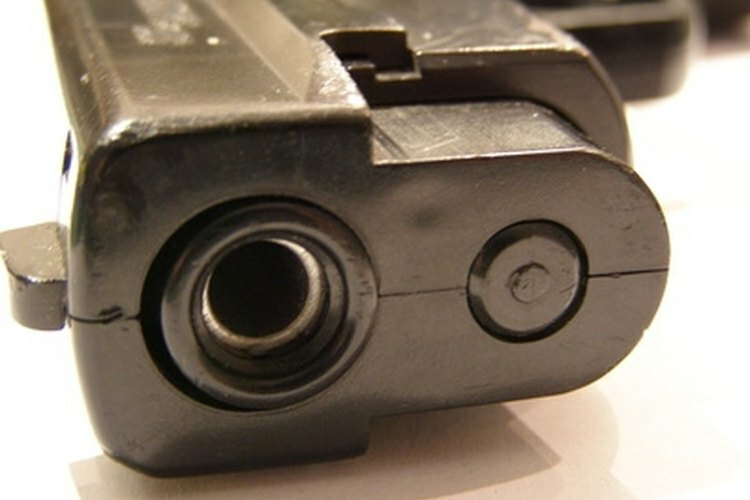 Remove the barrel once the guide pin has been removed. The barrel will easily pull out as well. Your Cobra .380 is now field stripped and ready for cleaning. Never attempt to take apart a loaded weapon. Never point a weapon at anything that you do not wish to shoot or kill.